It’s Friday! That’s supposed to mean another edition of the 5 Ways We’ve Saved Money This Week series. So all week I’ve been racking my brain, trying to think up any ways that we saved money this week. But the fact is that we didn’t. We totally fell off of the wagon. We’re now halfway through our #yearofno. It’s probably natural that we’d have a rough time sticking to the plan at this point. We’ve been so good for most of the year. But old habits die hard! Just because those old habits have reared their ugly heads doesn’t mean that we are giving up. I might need to reread my own advice about motivation, but I promise that we’ll be back to our saving ways next week. We’ve worked too hard to give it up now! Instead of sharing the ways we saved this week (since, frankly, there aren’t any), I’m going to be honest and show you 5 ways that we blew it this week. 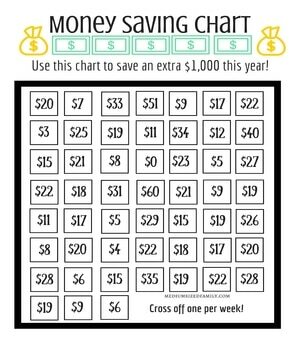 If you’d prefer to read some advice on saving money, you can look back through 40 weeks worth of the 5 Ways We’ve Saved Money This Week series. Otherwise, read on and see my confession. Convenience foods. Yep. My biggest weakness is hitting the drive thru for a quick meal or grabbing a treat for the kids after a hot game. While we didn’t hit a drive thru, we did stop for a meal after a long day once. And we grabbed ice cream for everyone both to celebrate the end of a softball season and to drown our sorrows after a messy problematic game. Even though I know better than to think that it’s “just a few dollars”, I allowed myself to go back to that type of thinking. You can’t use that line of thinking with a debit or credit card. Unless you’re using cash in an envelope so you can see the money disappear, you shouldn’t allow wasteful spending like this to creep up. Animals. We’re getting our livestock ready for the fair, which is always an extra expense. My mistake here was not properly budgeting for the extra money that these animals take away from our cash flow. Another mistake was not realizing that we are in over our heads when it comes to the time and money that livestock projects require before it was too late this fair year. The kids learn a lot from showing these animals at the fair, but it’s just not working for us anymore. Gifts. I love giving gifts, but sometimes I go overboard. This month we’ve had Father’s Day, our son’s birthday, and a few other birthday gifts to cover. I should have shopped earlier and looked for better deals. Instead, I took 4 of the kids shopping at the last minute and grabbed several things without considering the budget for those gifts. Communication and Encouragement. Hubby and I stay on the “no spend wagon” better when we encourage one another. I think that we’ve seen each other spending a little more freely this month, and it’s almost given the other one a crazy kind of permission to spend, too. We need to remind ourselves and each other of our #yearofno. We aim for accountability without accusation. It isn’t a perfect system, but we really don’t argue a lot about money. We’ve found a way to talk about it in a way that encourages each other (for the most part). It might be easier to turn a blind eye to our own spending (as well as each other’s spending), but all that does is make us worse off. Lots of driving. I’m not sure that there is a lot I could have changed about this one, but we’ve spent a lot of money on gas this month. The kids have a lot of extra camps, extra ball games, and other activities in June. One way I could improve this is by shopping around for gas. I was upset to fill up in one town and find gas 40 cents cheaper the next town over. A quick check of a website like Gas Buddy could have saved me a chunk of change. That’s 5 of the ways we blew money last week. This wasn’t a fun post to write, but I want to stay honest with my favorite readers. Hopefully this will turn around our spending and we’ll get back on track with our #yearofno! As a parting gift, I’ll share some advice for saving money on groceries. Be sure to check out this new post for tons of tips that will save your grocery budget. It’s much more than just couponing! Your turn. My weakness is clearly convenience foods. What tends to be your weakness? My weaknesses are the little splurges. They don’t seem to matter, but I know they add up! Be encouraged… you had a rough week, but clearly have goals and a strong motivation. Next week will be better! This seems to happen periodically in our lives too. We will be ultra focused on staying within our budget and then we just seem to go a little crazy every once in a while. For us, it is not huge purchases, just $20 here and there, and before we know it, we have spent a couple of hundred dollars that we had not budgeted. 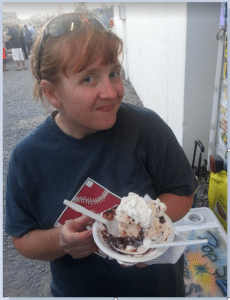 I have a couple of frugal blogs that I read (and love) and sometimes I secretly wonder if they ever “fall off the wagon” even a little bit every once in a while. Thanks for being honest! Don’t feel bad – it happens to us all! I had my two 14 year old nieces staying with me and we blew through almost $300 on taxi’s and eating out! Trying not to dwell on it because we made wonderful memories – having them to myself once a year is something I treasure deeply, especially as they get older. And I did budget for it. But… $300 ouch! I forget to grab lunch in the morning so i run to the lunch counter instead. Falling off the wagon isn’t what’s important, it’s getting right back to the plan when you have. Sounds like you’ve been doing great with your #yearofno, now you’ve had a little hiccup, and next week you’ll be back on track. When I do something like that, I try to make it a challenge to save enough to “pay” for the unplanned expenses. Oh,sister! As I was sitting down last night to write my “weekly wrap-up week 3: Ways we paid down our debt this week” post, I just kept staring at the computer. Buying 3 new tires and other unexpected expenses left me with not much to post about! So I feel you and am glad to know others are there with me. Great post! I appreciate this so much! It’s hard to always be pinching pennies, and then I feel so guilty when I splurge. My splurge this week was a Stitch Fix. I completely forgot it was scheduled, so I felt like I had to purchase something (which I loved, at least!) I used my own birthday money to boot, but I somehow still feel guilty! I get it! We shouldn’t feel guilty about spending our birthday money on ourselves…must be a Mom thing! A part of growth is regression. Jamie, from your words I read that you have the awareness and motivation to get right on track again. I admire your authenticity and honesty. We have all been there, great post! Thank you! I try to keep it honest around here. Paying off debt is a long tough journey to be sure. Not gonna lie, it’s reassuring to know that I’m not the only one who falls off the wagon when it comes to low spending/sticking with the budget. Convenient foods are definitely a weak point for me. I find I’m more likely to hit up the drive through when I’m starving, so I keep a ton of snacks in my purse. 😛 I agree that there is also something that happens to my spending guilt if my husband is also spending a little more. I just feel less guilty. We both have to be on the same page and talk about our goals often to stay focuses. My weakness is hands down online shopping. I try my best to keep it at a certain amount but I tend to go overboard most of the time. Its still a work in progress. My best advice is to jump back in the saddle and try again! That’s all you can do, right? absolutely, eventually I will get right. I think it’s hard to stay on a no spending wagon when you are not in the habit! My weakness is craft supplies for the kids, or things to buy on clearance to put away for a rainy day. Clearance gets me, too. I try to stop and really consider how much I need an item. Even if it’s only 25 cents, that’s wasted money if the item isn’t going to be important to my family. At least you are carefully monitoring it and can correct those little missteps before they get out of control. Not like me that hadn’t been monitoring things like I should and had quite a surprise yesterday. What a relief! I’m not the only one who has a bad week here and there on the budget. This week we had an out-of-town overnight wedding. It’s always hard for me to find snack foods that are gluten free so I had to prepare extra for the road. And of course the gas was expensive. Thankfully we were able to stay at my sister’s house so we didn’t have to pay for a hotel which really helped. And then, of course, a friend of our daughters asked her to go to Cedar Point, so that was a huge dent in the budget. But we will be back on track next week as I’m sure you will.